Celi, beloved chronicler of the Kitchen’s Garden , posted a challenge last week asking us what we see from our back porches. I’ve been turning it over in my mind ever since (no doubt helped by the wonderful views that have been popping up in her posts). We don’t have any back porches or even back doors, but I found myself paying attention to views that I don’t usually stop for and thought I’d share a place and a plant with you. We have a palm growing here, with an amaryllis to keep it company, and we’ve got some white pomegranate trees that Ali is growing from cuttings that a neighbour gave us a few years back. White pomegranates, as their name implies, are much paler in color than the regular ones, both inside and out, and they are much sweeter in flavour. Although it is not so visible in the photo, we have shallow beds on the roof of the shed. It was on a whim. The first year, we threw wheat that we feed to the chickens up there so that something would grow, and grow it did. Upon seeing the lush green wheat grass, one of our neighbours, a villager experienced in garden matters, gently suggested that we might like to plant our wheat in the field next time! We scattered wildflower seeds the following year and they still come up in the spring. 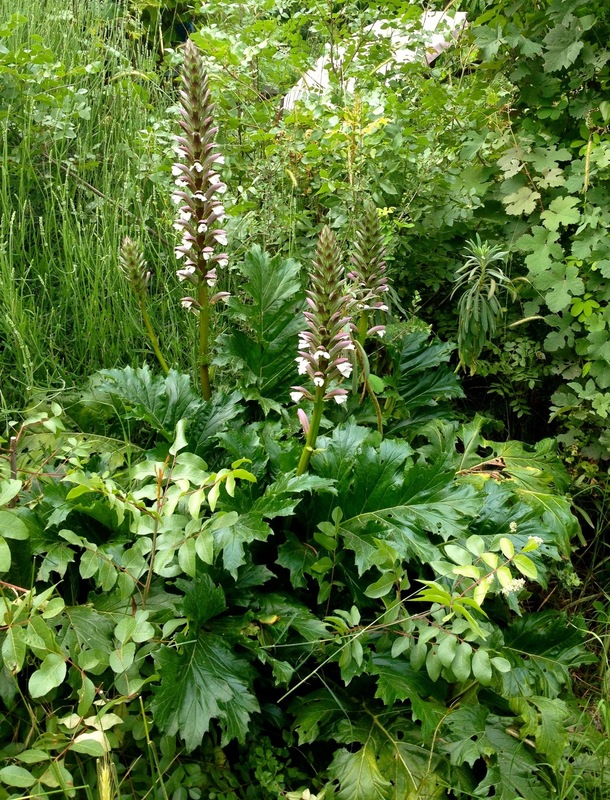 The plant that I wanted to share with you is an acanthus that grows by the stairs. It is directly below a massive lavender shrub, and I think it might be slightly overlooked for this reason. Just two things that caught my eye as I hauled buckets of “chicken poop sherbet” to our hungry plants! Your home must smell amazing surrounded by all those gorgeous flowers! It’s living perfume, to be sure. The things that are done in the service of cars… I’m glad that the acanthus ended up with you, and how neat that it will follow you to your new digs. I can just smell the fragrant jasmine flowers. 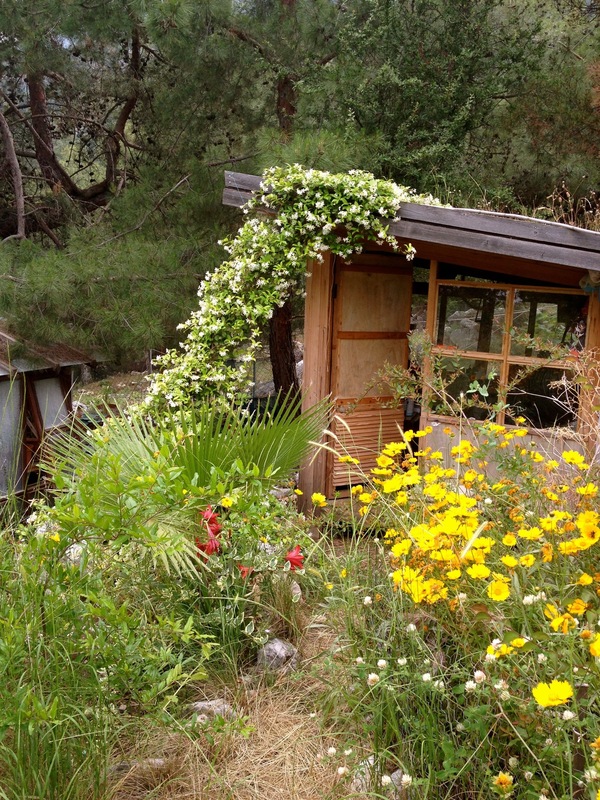 Beautiful collection of plants and flowers, thanks for sharing. Thanks, and do stop by again soon! What a thought! If I ever figure out how, you’ll be the first to know.